After years of aggressively pursuing internet pirates and even distributing malware in order to deter would-be MP3 thieves, Sony BMG has been exposed as a pirate itself. The story centres on French software developer, PointDev, which makes administrative tools for Windows. According to Ars Technica, the company recently received a call from a Sony BMG IT employee asking for support. Unfortunately for the individual and for Sony BMG the employee supplied PointDev with a pirated licence code. 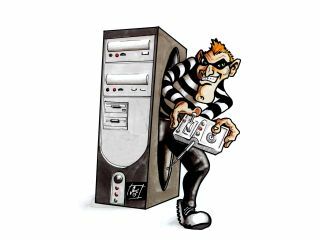 A subsequent raid on Sony BMG’s servers by the Business Software Alliance revealed that up to 47 per cent of the company’s software was pirated. Clearly there’s a sweet measure of schadenfreude about this story, given Sony BMG’s previous occupancy of the moral high ground. More importantly, there’s also the rank smell of hypocrisy about it. In the words of a well-known (albeit horribly misguided) UK tabloid commentator “you couldn’t make it up”.